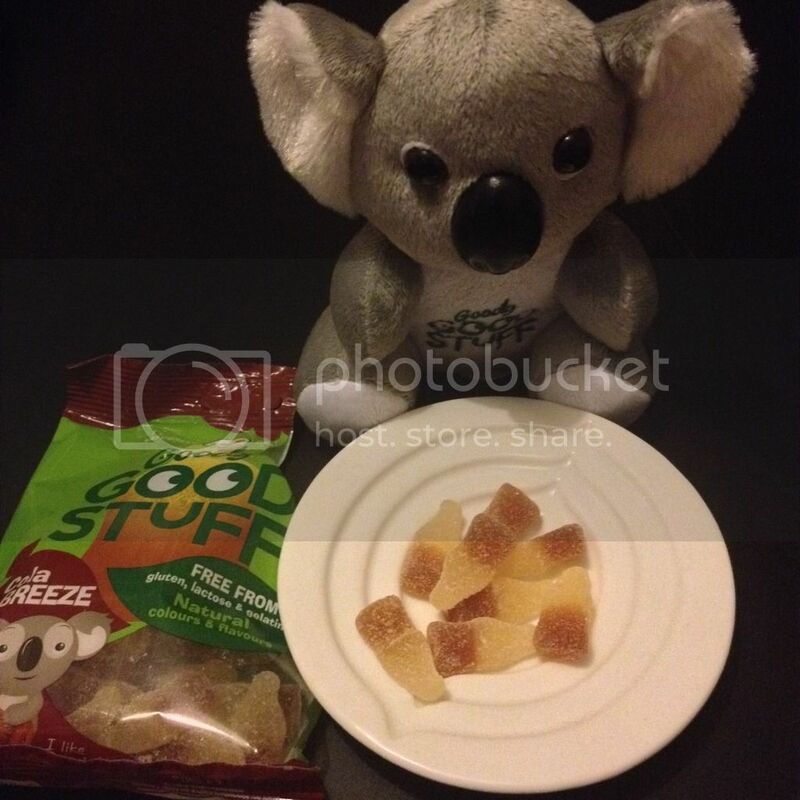 I had previously tried some Goody Good Stuff sweets, but some of their range used to contain beeswax. However, vegans of the world can now celebrate as they have replaced the beeswax with a blend of coconut oil - yay! 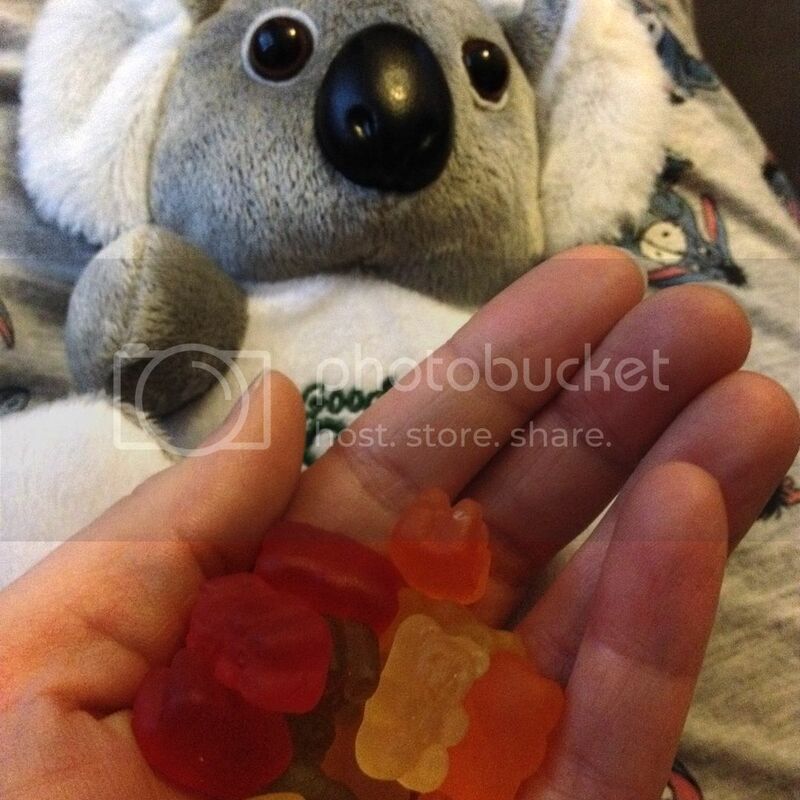 Gummy sweets for all! 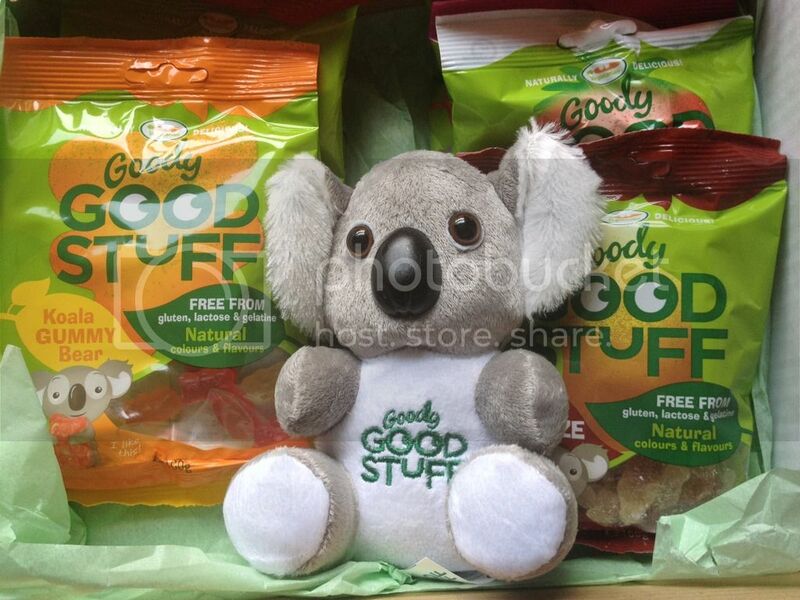 Goody Good Stuff make jelly sweets, based around a natural plant based gel rather than gelatine. Their sweets are free from all major allergens, use natural colours, and have been 100% vegan since January 2015. First up had to be the "Cola Breeze" fizzy cola bottles. 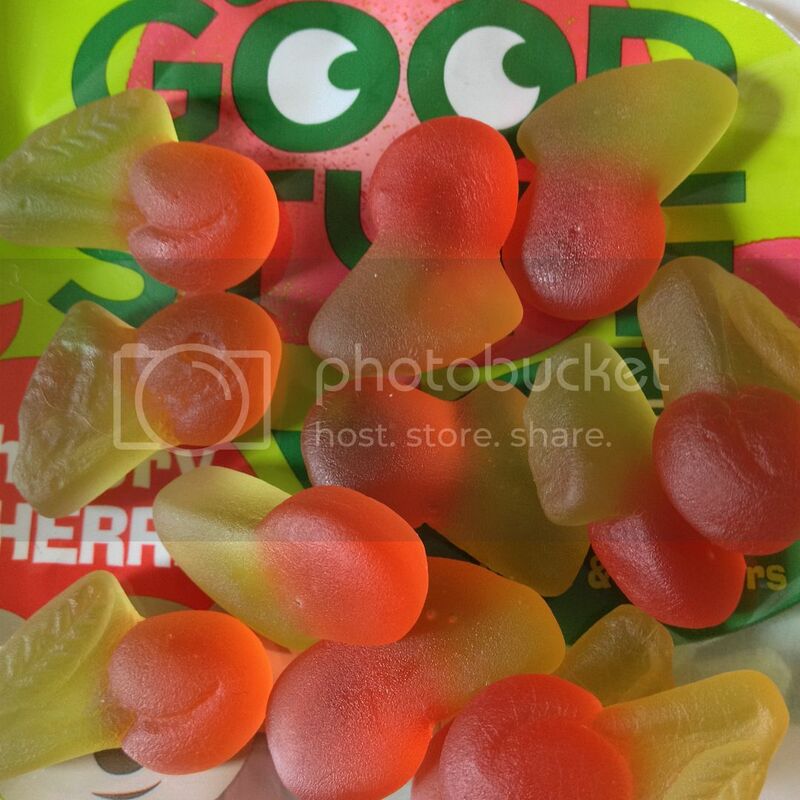 These tasted great and had just the right amount of sourness. I enjoyed the texture, but it's not quite how I remember cola bottles. That could be because I've not had them for years though! A big thumbs up on this flavour. 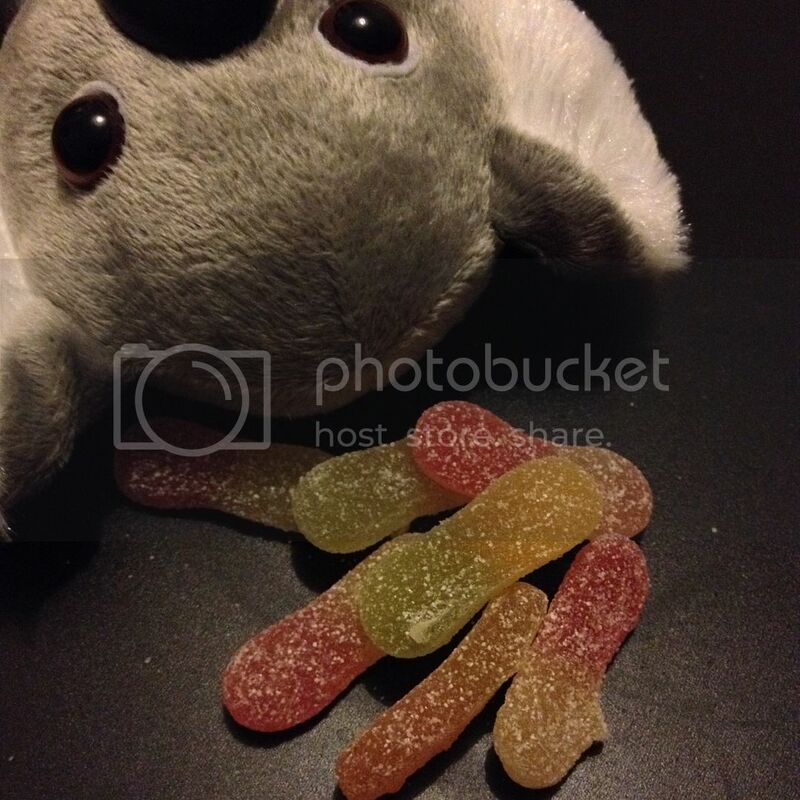 Next were the "Koala Gummy Bears". 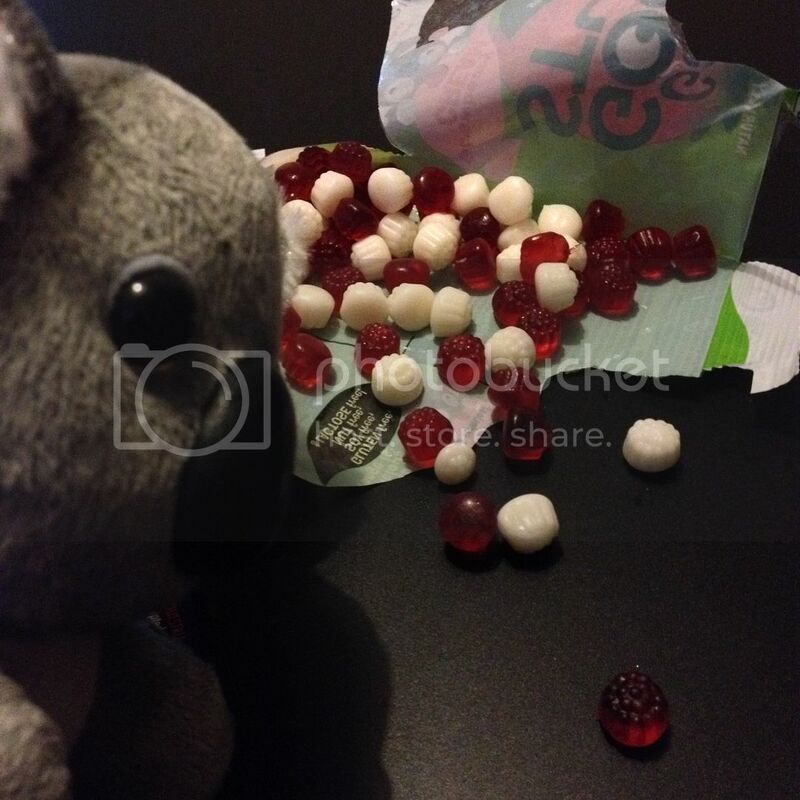 I really enjoyed the flavours in these, they really did remind me of gummy bears! I used to love gummy bears... and the TV show was ace too! Here we have the "Sour Mix & Match" - wonderfully sour and deliciously chewy. 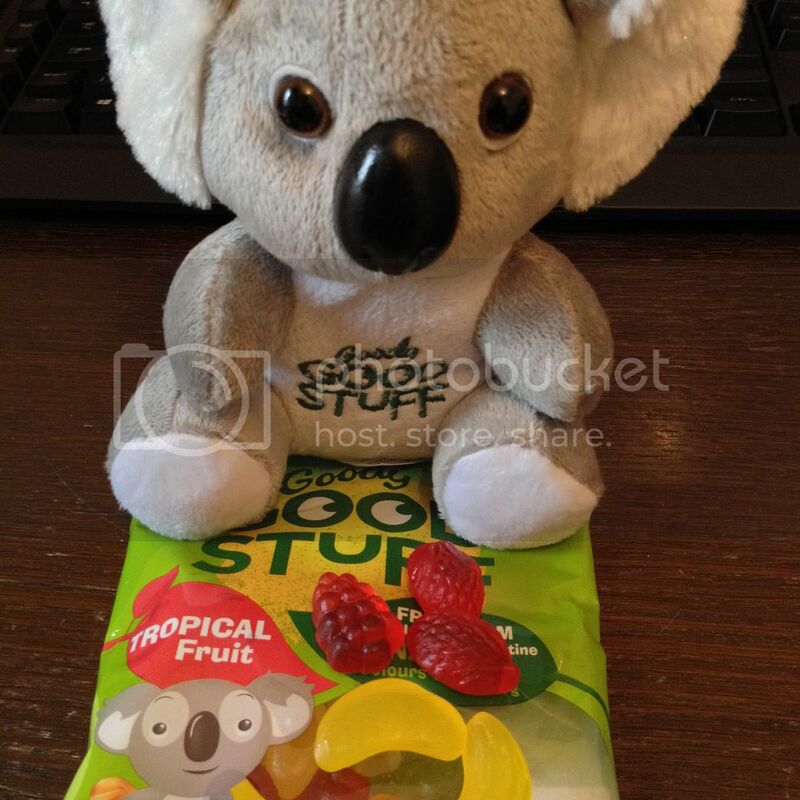 Cheeky Koala optional. I wasn't really sure what to expect from the "Strawberry Cream" but they were nice. I preferred the strawberry drops to the cream ones, as they had a better (in my opinion) texture, but I enjoyed the taste of both. 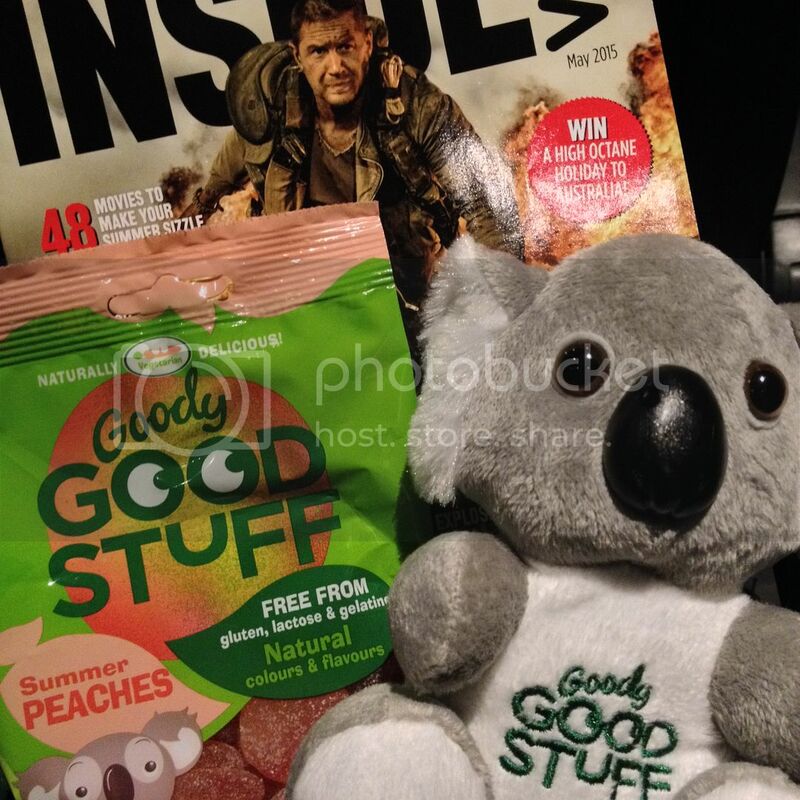 "Summer Peaches" were a sneaky cinema snack when we went to see Mad Max (which is AMAZING!). Another sour bag, another win for me! 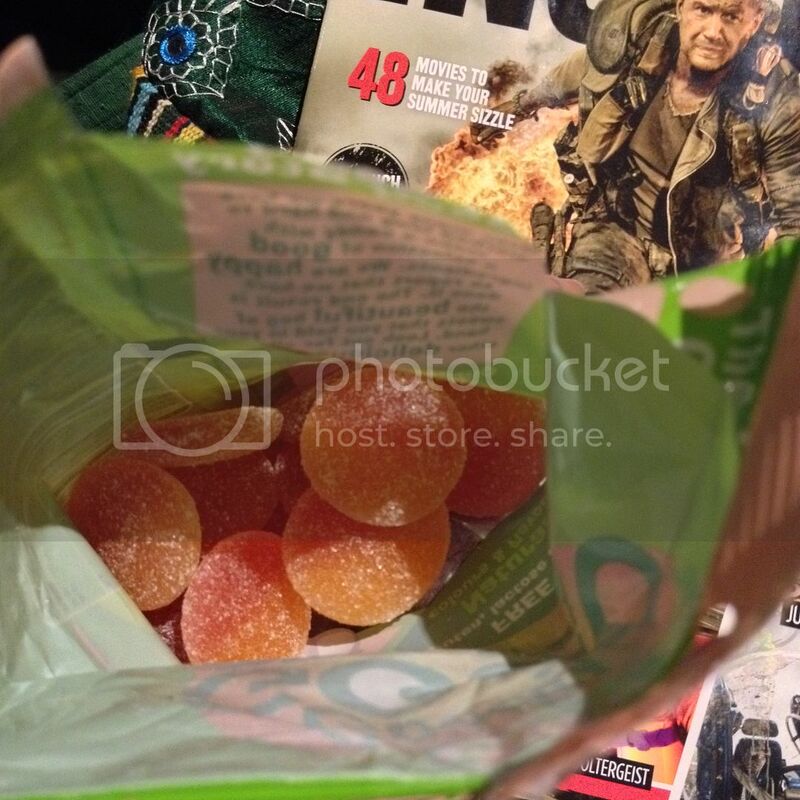 Mr Hatter isn't a huge fan of sour sweets so I got these all to myself! 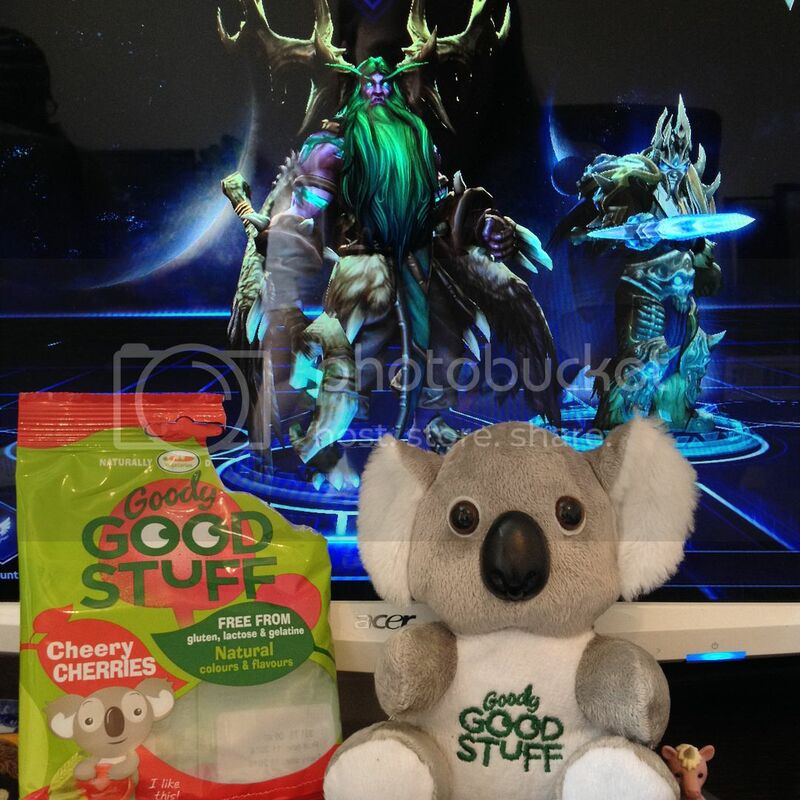 The "Cheery Cherries" were brought out for a night in playing Heroes of the Storm - welcome to my geeky side! Despite not being one of the sour flavours, these were up there as one of my favourites. And last but not least, we have the "Tropical Fruit" sweets. I wasn't as keen on the flavours in this bag but I ate them all so that says something! 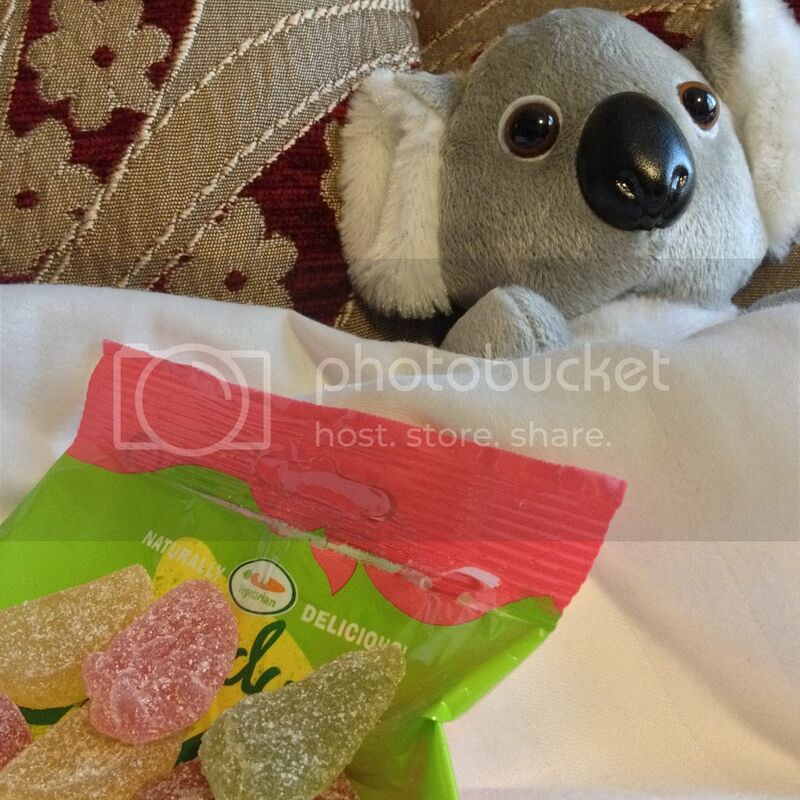 Oh, did you notice my mission to get the cute koala toy into each photo! I think I can count that mission as accomplished! Please note: I was sent these sweets to sample and review for free. All opinions are my own.